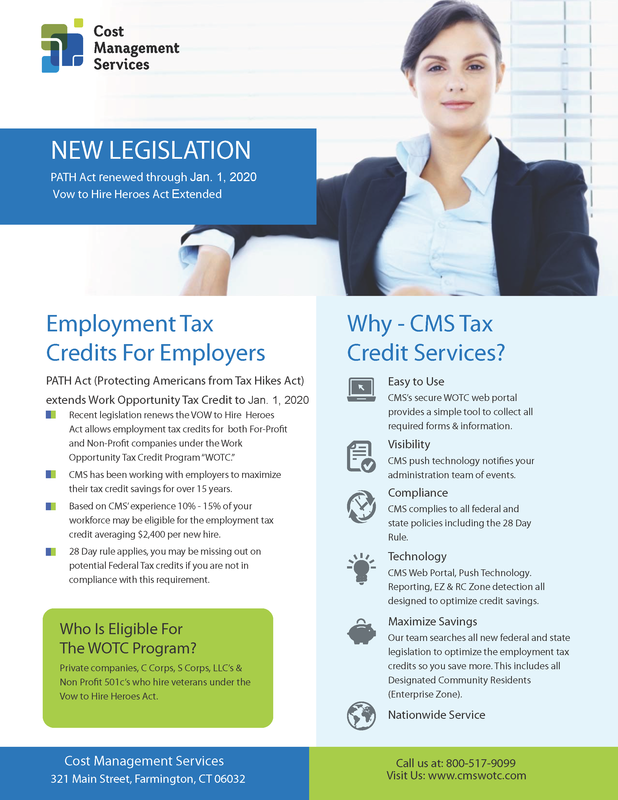 It was announced this week that Ohio Senators Sherrod Brown and Rob Portman, introduced the Work Opportunity Tax Credit & Jobs Act to the Senate, a bill which proposes to make the Work Opportunity Tax Credit permanent. CMS’s Brian Kelly said this makes perfect sense. In our 22 years of performing WOTC Screening and Administration we’ve saved millions for our customers. This entry was posted in WOTC News and tagged bill, Brian Kelly, proposal, Renewal, senate, Work Opportunity Tax Credit, WOTC. Bookmark the permalink.